Get tips on accounting for your small business and save yourself time and money. When you first start setting up your own small business, the small business accounting aspects might appear daunting, especially if you do not have an accounting background. However, it doesn't always have to be as confusing as it appears. Having a good understanding of even the most basic terms is helpful. The following is an overview of some common small business accounting basics. This is the central point of your financial records. Basically, your general ledger will keep track of every transaction that is made within your company. Some items, such as the profits from the sale of assets, loan payments and capital contributions, will only be recorded in the general ledger and not anywhere else, such as the sub-ledger. Your balance sheet and your profit and loss statement will be drawn from the general ledger. You must keep good records, not only to help you and your peace of mind, but also to show in case you ever get audited. You might have several different types of sub-ledgers. 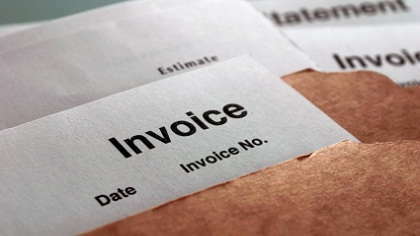 These could include your accounts payable, cash and accounts receivable. Everything that is posted in the sub-ledger, however, will also be posted in the general ledger as well. Keep in mind that all debits must equal all credits. If this doesn't happen, then something is out of line and you need to re-figure your balance. Having a good accounting system is imperative here. Some software packages come with an automated system that won't allow you to enter something that throws off the balance. This could be a good thing. Your assets are those things that your business owns, such as the cash in your bank account or real estate that your company might own. Liabilities, on the other hand, represent things that you owe. This could be your accounts payable, for example. When it comes to small business accounting basics, your owner's equity is the difference between your assets and your liabilities. You want it to be positive, and not in the red. In other words, you hope to have more than you owe. This is more or less tells you where your money is coming from and where it is going to. Your expense accounts will probably not differ from month to month since most businesses incur the same amount of expenses every month. Your expenses could include utilities, salaries and repairs. If you do not feel comfortable dealing with even your small business accounting basics, then it pays to hire a professional to take care of this part of your business. However, you will still need to understand the basic terms and continue to keep accurate records on your part, as well. Ignorance will not be a good defense if you get audited or if you forget to pay someone on time. Remember that in most cases, you will be the one to pay, and not your accountant, should anything go wrong. Should Freelancers Ever Work for Free?